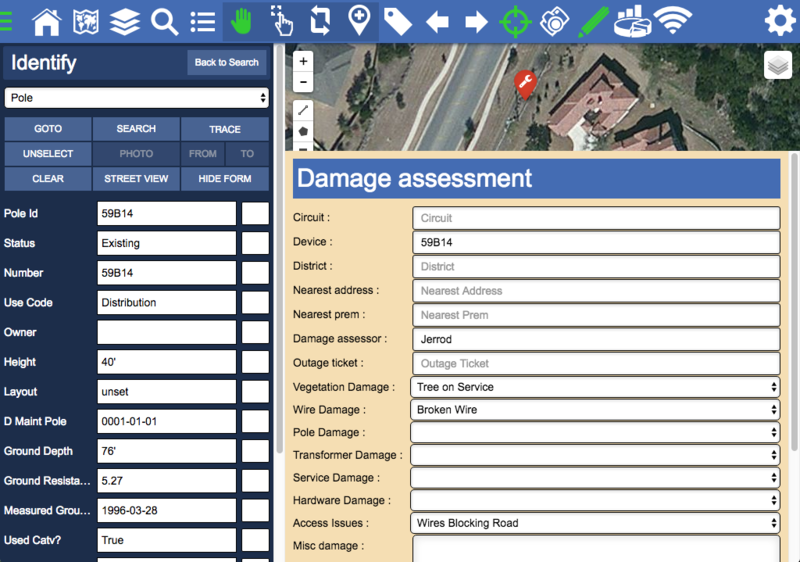 Cliffhanger is pleased to announce our damage assessment module for Atlas. The module is intended for field use, making it easier than ever to capture information regarding damaged assets, including photos and annotations. Real time dashboards provide the back-office with live information about the damages, allowing for efficient scheduling of crew assignments, equipment, and material. Available live weather overlays, as well as live outage information, enable both the back office assessors as well as the field crews to analyze information efficiently, quickly and safely. Data will be recorded for historical trend analysis, which will also provide an audit trail. Analytics of this data can be used in real time using dashboards, or reports can be created for offline use. Employees and contractors can easily download the Atlas application and be granted access to only the required asset information and damage assessment functionality. Atlas is available as a SaaS model or as an enterprise license model. The application is available on iOS, Android and in browsers.